How should I have my hair cut to make it healthier ? Q Ok so I killed my hair with bleach many many times, now the ends of my hair are really thin and damaged, I want to grow my hair but how can I make sure it stays thick and healthy? At the moment I can’t get a hairbrush through it without soaking it in conditioner! A It’s best that you understand a little about the effects of bleach first then we can come to a remedy. Bleach is the worst kind of product that you could use for your hair because unlike colour it doesn’t add colorant it strips your natural pigments and the more you bleach the more it strips, think of the colours of the rainbow as you bleach the colour of your hair (if for example it starts off as black) would strip to dark brown, brown then eventually an orange colour then to yellow and white, but as your hair becomes yellow/white it will also strip the life from your hair meaning the natural proteins and moisture and if you left the bleach on for too long your hair would eventually fall out. I don’t wish to make you nervous about bleaching but it is down to the professionalism of your hairdresser to let you know how far you can take it. First off you will need to get the ends of your hair cut, depending on your face shape etc this will determine how much you can have cut, obviously from what you were saying (that your hair is in bad condition), I would recommend at least a few inches cut. It’s very difficult to tell you what shape to wear it because as a professional hairdresser I would first need to see your hair and face shape because what suits one would not necessary suit another, but by having a few inches cut is a good start. You could look at some hair photos, but be careful in choosing make sure the model has a similar face shape to your own, or the chances are it won’t suit you. 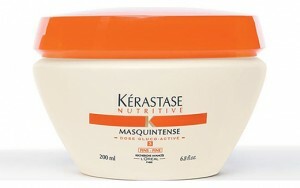 Once your hair has been re-styled improving the quality and thickness of your hair, then the second stage is to use a deep conditioning treatment by L’Oreal Kerastase called Masquintense , (you can buy Masquintense for thick or fine hair) after you have washed your hair towel dry and then apply the treatment (you do not need to use conditioner when you apply the treatment) place the treatment all over your hair and wrap it up in some cling film then a towel (to keep it warm) after 10 minutes rinse out, if you leave it on for longer it will not improve the quality any more as your hair will only absorb a certain amount, you will need to apply the treatment two to three times a week for at least two months. Do not colour or bleach your hair at least until your hairdresser thinks your hair is strong enough, and if you go to a hot climate make sure you cover your hair with a sun hat as the sun can also bleach your hair. This will definitely help, but please be patient.